See below for pics of the guitars. 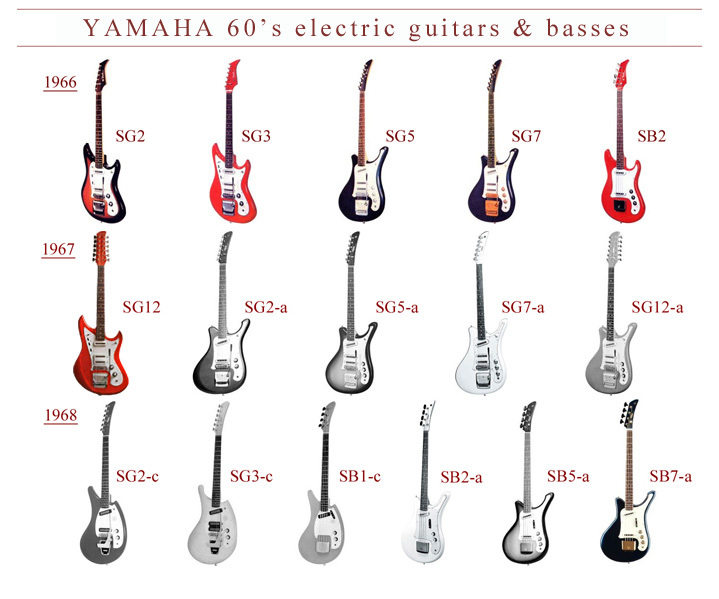 This site is dedicated to the first solid body guitars and basses Yamaha crafted in the 60’s. It is a fan site. Everyone can contribute by sending me an email or post comments. 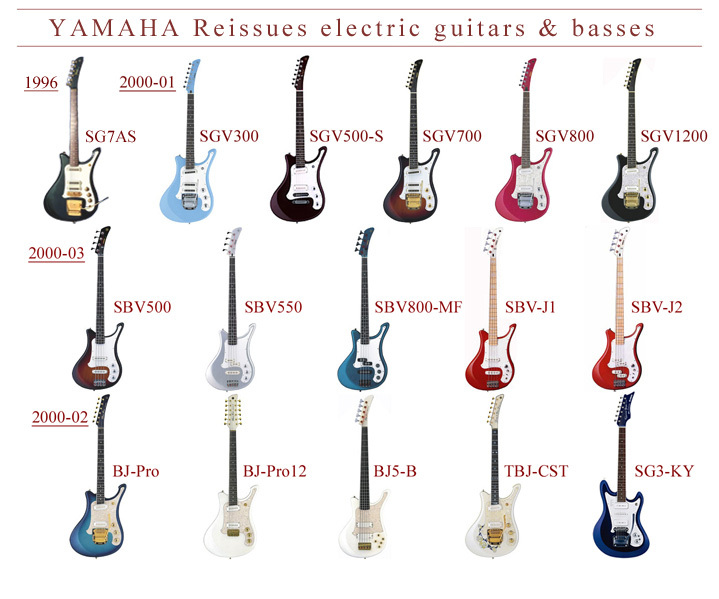 All the pictures are from the internet or provide buy other Yamaha guitar maniacs. My first concert ever was on my belove and regretted Green Sparkle Yamaha sgv300 !This song of my surf band Noskons was recorded with it (rythm guitar only): « horrible choice ».